Closeouts. 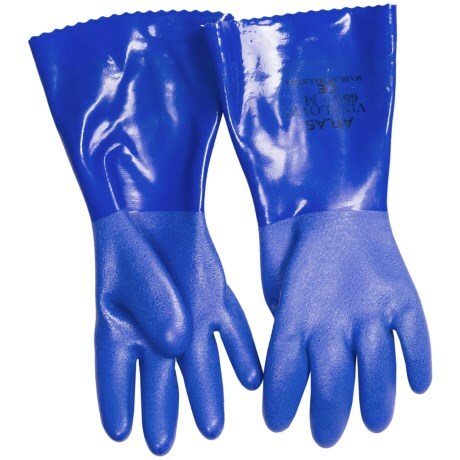 When you need heavy-duty hand protection, grab these Atlas PVC gloves. Triple-dipped PVC coating offers complete protection from liquids, oils and many chemicals, and is flexible to ensure no loss of movement.